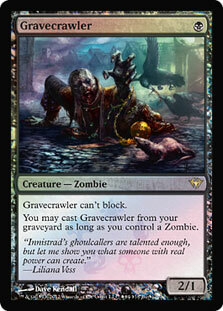 Card Text: Gravecrawler can't block. 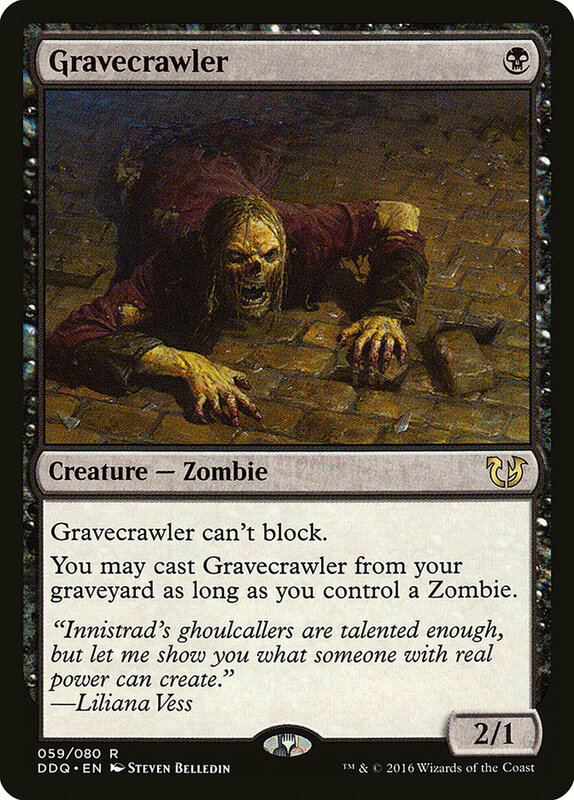 Oracle Text: Gravecrawler can't block. 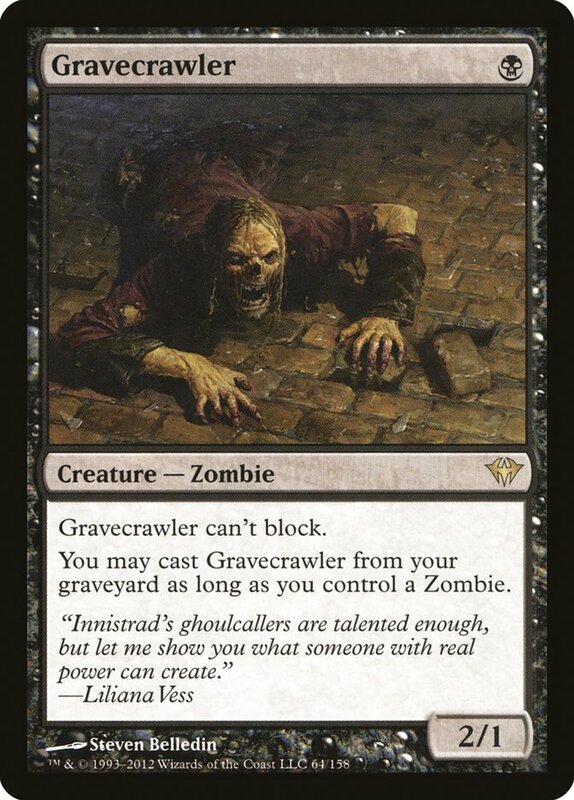 Flavor Text: "Innistrad's ghoulcallers are talented enough, but let me show you what someone with real power can create."